Abu Abdullah Muhammad bin Abdullah bin Muhammad bin Ibrahim al-Lawati or Shams ad - Din, better known by the name Ibn Battuta people born on February 24, 1304 AD (723 AH) in Tangier Morocco. Ibn Battuta is known for his adventures around the world. Nearly 120,000 miles had taken over a span of 1325 to 1354 AD or three times longer than the distance that has been taken by Marco Polo. The entire record of the trip and the experience Ibn Battuta long odyssey rewritten by Ibn Jawzi a poet and author of the empire of Morocco. Ibn Jawzi wrote it based on oral exposure directly dictated by Ibn Battuta. Writing the book was initiated by the then Sultan of Morocco, Abu Inan. The book is organized for two years and was given the title "al-Nuzzar Tuhfat Ghara'ib fi al-Amsar wa-'Aja'ib al-Asfar" or better known as the "Rihla Ibn Battuta". At the age of about twenty years, the initial goal is the journey of Ibn Battuta pilgrimage to Mecca in 1325 AD, but their original purpose has led him to explore the glorious 30 years. Ibn Battuta on the initial trip from Tangier to Mecca. To avoid such bad risks robbers attacked, during the journey of Ibn Battuta joined a caravan bound for Egypt. Together caravan, Ibn Battuta with through the forest, hills and mountains move towards Tlemcen, Bejaia and then arrived in Tunisia and stayed there for two months. From Tunisia, Ibn Battuta and his party then continued its journey to Libya. Since leaving Tangier Ibn Battuta has been to Libya overland journey so far nearly 3,500 miles across North Africa. Eight months before the season begins pilgrimage Ibn Battuta decided to visit Cairo. In the year 1326 AD, Ibn Battuta and his entourage arrived at the Port of Alexandria in the west end of the Nile delta. Ibn Battuta was very impressed to see the port of Alexandria and Alexandria he was one of the five most amazing place he had ever visited. At that Alexandria is a very busy port with a variety of activities and are under the control of the Mamluk Empire. 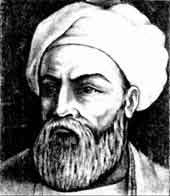 After several weeks in Alexandria and Cairo Ibn Battuta stopped a moment and immediately continued his journey to Damascus the strict supervision of the Mamluk Empire. In Damascus, Ibn Battuta spent the month of Ramadan and use the time to learn, meet some teachers, educated people and local judges. For 24 days in Damascus, Ibn Battuta then continued his journey to Mecca via Path Syria. Along the route of Ibn Battuta visited many holy places. Al-Khalil (Hebron), Al-Quds (Jerusalem), Bethlehem are some places he visited. During the week in Jerusalem, Ibn Battuta visited the Al-Aqsa Mosque and the Dome of the Rock. Ahead of the pilgrimage season begins and after Ramadan finishes, Ibn Battuta leaves Damascus and rejoined the other pilgrimage group to continue his journey to Medina. Under the supervision of the Mamluk Empire which ensure the security of the pilgrims, the Ibn Battuta and his entourage to arrive in Madinah safely. Arriving in Madinah Ibn Battuta stayed for four days and then rushed to Mecca to perform pilgrimage. After perfecting his Hajj rituals, Ibn Battuta did not return to Tangier but he decided to go wandering into Iraq and Iran. After wandering from Iraq and Iran, Ibn Battuta returned to Mecca to perform pilgrimage to the second. Outline of Ibn Battuta begins journey from Morocco into Algeria, Tunisia, Egypt, Palestine, Syria and arrived in Mecca. After wandering into Iraq, Shiraz and Mesopotamia Ibn Battuta second Hajj and stayed in Makkah for three years. Then he went to Jeddah and continue the journey to Yemen by sea and then stopped at Aden and continued on its way to Mombasa in East Africa. In the year of 1332 after Kulwa, Ibn Battuta went to Oman through the Strait of Hormuz, Siraf, Bahrain and Yamama to re-perform the pilgrimage in Mecca. After that Ibn Battuta decided to go to India via Jeddah, but he changed his mind and decided to re-visit Cairo, Palestine and Suriah.Setibanya there, Ibn Battuta resumed his journey to Asia Minor (Aleya) via the sea route to Anatolia and the adventures continue by crossing the Black Sea. After some time and is in the perilous journey, Ibn Battuta finally arrived in Turkey via the South of Ukraine. Ibn Battuta then continue the exploration to Khurasan and visit important cities such as Bukhara, Balkh, Herat and Nishapur. Ibn Battuta crossed the Hindukush mountains to arrive in Afghanistan for the next entry into India through Ghani and Kabul. He continued down the Lahri (near Karachi Pakistan), Sukkur, Multan, Sirsa and Hansi Ibn Battuta finally arrived in Delhi. For several years there Ibn Battuta hospitality welcomed Sultan Mohammad Tughlaq. Setlah visit in Delhi Ibn Battuta returned to continue his journey through Central India and Malwa then he uses the ship of Kambay towards Goa. After visiting many places before, then Ibn Battuta arrived at the island of the Maldives through the Malabar coast and then continue to cross over to Sri Lanka. Ibn Battuta still continuing exploration Coromandal to land on and return to the Maldives until finally he landed in Bengal and visited Kamrup, Sylhet and Sonargaon near Dhaka. Ibn Battuta sailed along the coast of Arakan and then Ibn Battuta arrived in Aceh, Indonesia. precisely in Pasai Ocean. Ibn Battuta stayed there for 15 days and met with Sultan Mahmud Malik Zahir. After his visit to Aceh Ibn Battuta then continued his journey to Canton via the Malaysia and Cambodia. Upon arrival in China, Ibn Battuta continued adventure to Peking through Hangchow. Later Ibn Battuta then returned to Calicut and using the ship he arrived in Dhafari and Muscat to continue the journey back to Iran, Iraq, Syria, Palestine and Egypt and return pilgrimage for the seventh time in Mecca in November 1348 AD After his last pilgrimage was Ibn Battuta returned to his hometown, Fez. However, the journey does not stop there, after the return to Fez, Ibn Battuta returned to wander to other Muslim countries such as Spain and Nigeria across the Sahara desert. Year 1369 at the age of 65 years died of Ibn Battuta world.12 years after he finished writing rihla. Ibn Battuta left a valuable legacy to the world in the form of notes journey that will always be remembered by mankind.